Caficultura | San Juan, Puerto Rico | dreaming of the next bite. In an attempt to transport myself back in time a few weeks to my fabulous honeymoon, I will be writing a short series of blog posts about our favorite eateries in San Juan, Puerto Rico. All of them were in Old San Juan, since we opted to rent an apartment in the city for the week instead of going the resort route. Our apartment, Caleta 64, was just across the street from El Convento, and within walking distance of the two Spanish forts (dating as far back as the 1500’s), as well as shopping galore, and a plethora of restaurants, bars, and coffee shops. Our first Puerto Rican obsession was coffee. 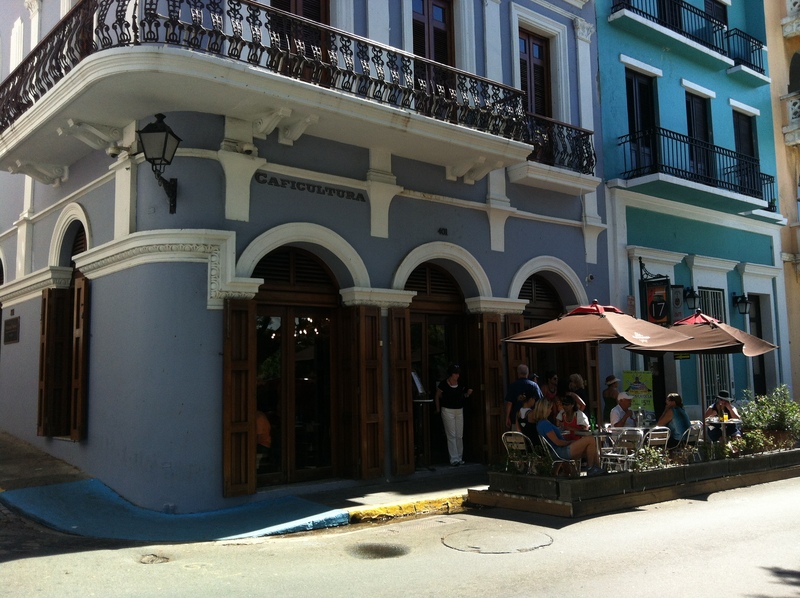 Enter Caficultura, recommended to us by our host at Caleta 64 and Old San Juan aficionado, Betsy. Puerto Ricans know how to do coffee. 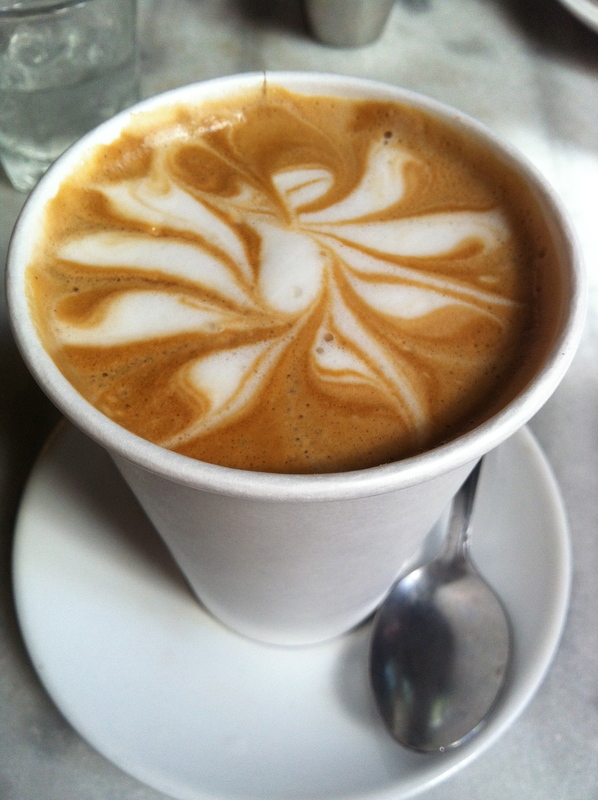 “Cafe con leche” in Puerto Rico was interchangeable in terms of lingo with “latte”, but they blew American lattes away. Not only were they beautiful, but they were much stronger, hotter, and had excellent flavor. They were served with a side of brown sugar, which if you haven’t tried this in your coffee, you should. It’s positively divine. We were delighted to find Caficultura because not only was the coffee to die for, but the vibe inside was comfortable and inviting; a great place to kick back and relax amidst a lot of walking and sightseeing in Old San Juan. I loved the white marble table tops. It was also very cool in there; a welcome opportunity to step out of the heat and enjoy a leisurely cup of joe while people watching. 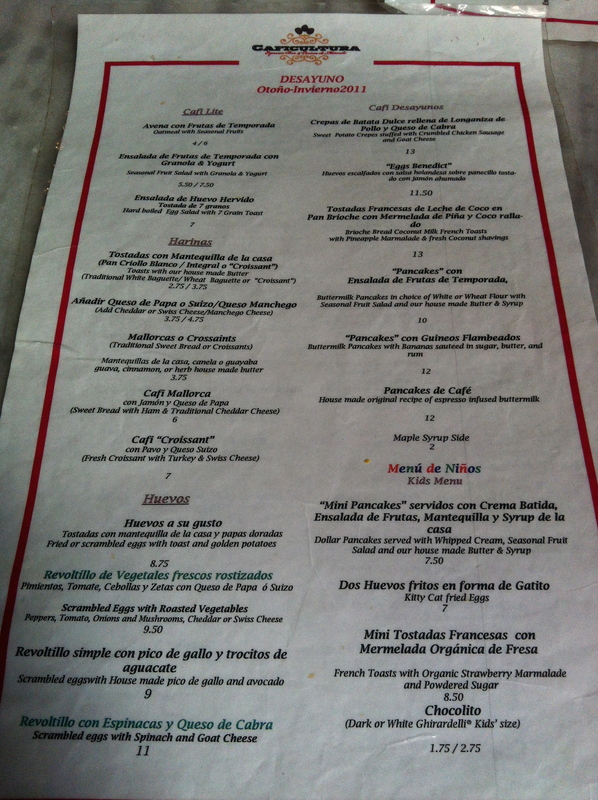 It wasn’t until our second trip to Caficultura, much earlier in the morning this time, that we discovered they had a quite a menu of eats as well. 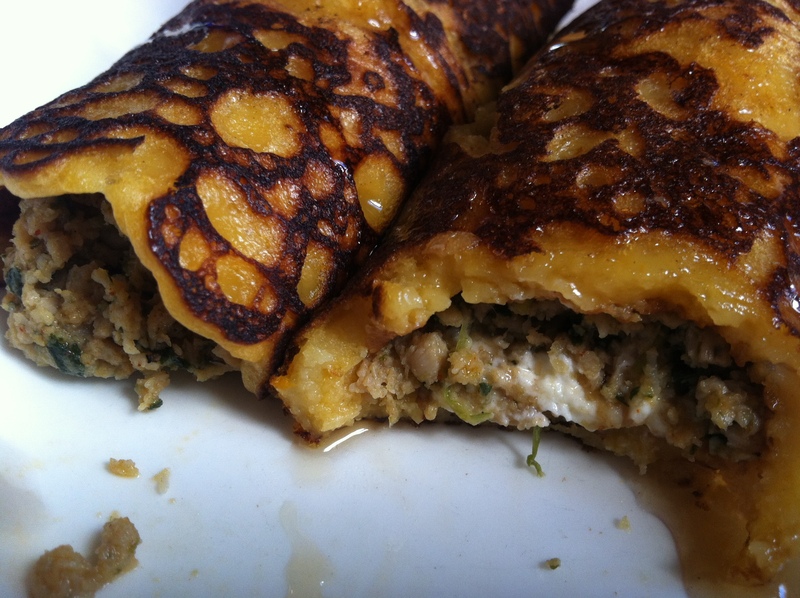 When I spotted the crepes I had to have them: sweet potato crepes stuffed with crumbled chicken sausage and goat cheese. In my usual breakfast sweet vs. savory inner debate, savory won for a change. But….bonus! They served them with warm maple syrup, so I ended up getting the best of both worlds – sweet and savory united as one! Here’s the inside of this masterpiece; the flavor combos were outstanding. 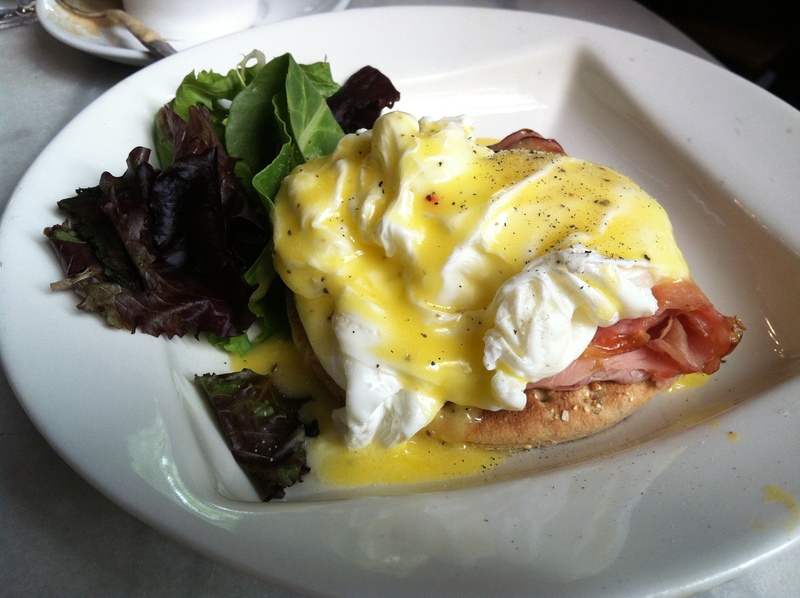 Another beautiful and delicious plate, the poached eggs took on a whipped consistency and the hollandaise sauce was rich and well seasoned. 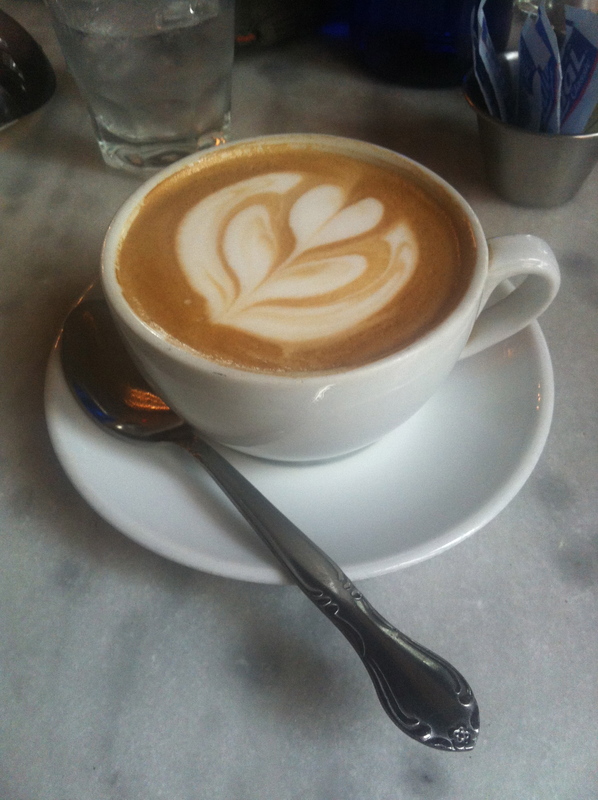 In a city packed full of restaurants (and tourists), Caficultura was a stand-out. It was not inexpensive by any means, but the cost was more than justified by the quality, presentation, and taste. For some reason Urbanspoon has not ventured to Puerto Rico yet, so I can’t provide you a link, but luckily Yelp and Trip Advisor are on board. 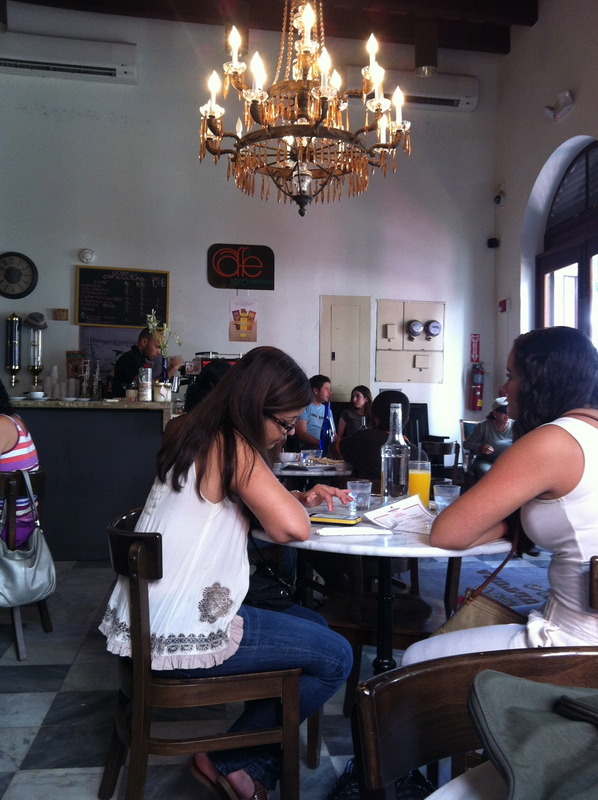 Look no further than Caficultura; you won’t find a better atmosphere, breakfast, or cup of coffee in Puerto Rico! 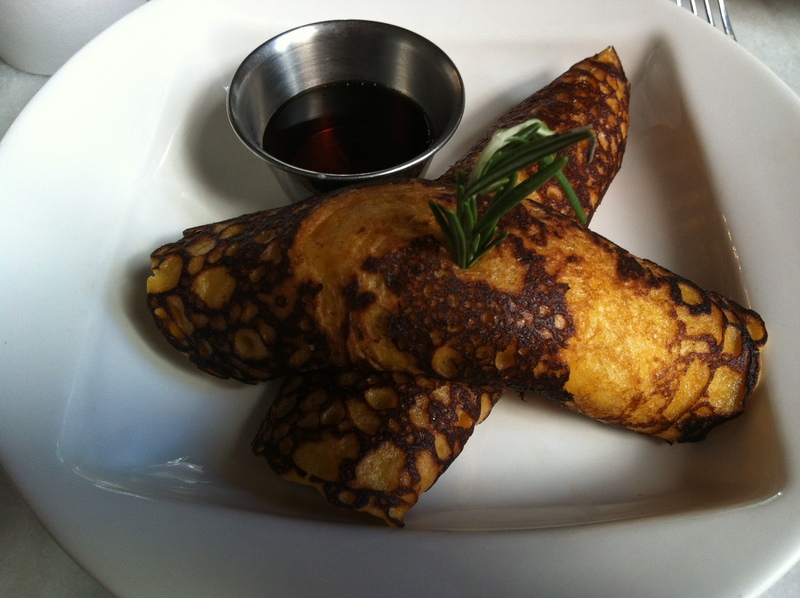 This entry was posted in San Juan, Puerto Rico and tagged breakfast, coffee, crepes by Yvette (@foodiedreamer). Bookmark the permalink.